Bugs are the nightmare of every software developer. In order to maintain software quality, developers and testing specialists work night and day to track and eliminate bugs. The traditional method of using an excel sheet to track and record bugs and their fixes may have worked a few decades ago. However, with the increasing complexity of software products and the rising expectations of customers to get the highest quality, bug free product, it has become more necessary than ever to take the help of a tool to do a better job of it. There are several bug tracking tools in the market to enable an organized software bug tracking and defect management system. 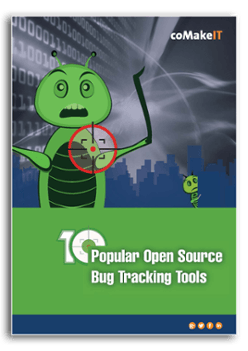 Download this quick guide to know what the 10 most popular bug tracking tools are! And the best part? They’re all free!